Auto body frame repair is a huge task that can be carried out on any make or model of vehicle. The damages to your car could range from something as minor as hail damage, to more severe damage that could require frame straightening or inner car frame repair to get your vehicle back to normal. A body frame repair shop will need to use torque machines and hydraulics to repair your vehicle. Therefore, it is vital to choose a shop that has the necessary equipment and is guaranteed to fix your car right and on time. The majority of body shops will have certifications. We recommend that you check them to ensure that the body shop is qualified for the job. Additionally, holding a certification also means that they have gone through the proper training, and have the necessary tools to fix the vehicle. Most states have their own auto body industry associations, and a good body shop will have a strong working relationship with them. Some of the more popular ones are Independent Auto Body Association and Society of Collision Repair Specialists. 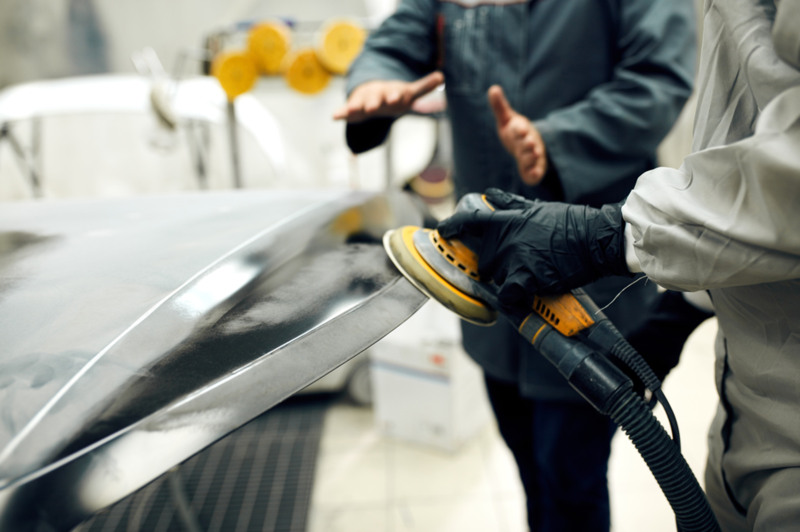 Before deciding on a Wheaton area auto body repair shop, you may want to make sure their technicians have undergone training and have been certified by the National Institute of Automotive Service Excellence. It might be a time-consuming process to find the right shop, but once you have found one, you will have the peace of mind that your vehicle will be fixed properly. It’s always good to know how long the shop has been in business. A long-extended tenure of over many years indicates that the shop has served the area well and that they are trusted by the community. A new business might have an attractive image and marketing strategy, but might not always have the skills and accreditations to match. It’s important that the shop can provide a wide range of services, from color match painting all the way to frame straightening. This will ensure that no matter what the extent of damage, the shop will be able to repair all parts of the vehicle. If not fixed properly, it can affect the comfort, safety, and drivability of your car. It’s wise to check the reviews of the shop online to see what past customers have to say about their experience with the auto body repair shop. This will give you an insight as to whether you’ll be treated with respect, and whether the technicians can repair your vehicle in a fast, smooth and efficient manner. Another way to find out if the shop is reliable is by ensuring that the business is accredited by the Better Business Bureau, and that they maintain an A+ rating. Alternatively, if the repair shop has been approved by the Automotive Association of America (AAA) you can rest assured that the shop meets a high standard of quality, price and experience. Looking for an Auto Body Frame Repair Shop in Wheaton, Illinois? Has your car been in an accident? Maybe its suspension is damaged, or its bumper is dented? In any case, you require the services of a professional auto body repair shop in Wheaton. Lombard Body & Fender has served the Wheaton area for 47 years. Regardless of the make and model of your vehicle, we have the professional experience to get your car up and running quickly. Contact us today to start the process!